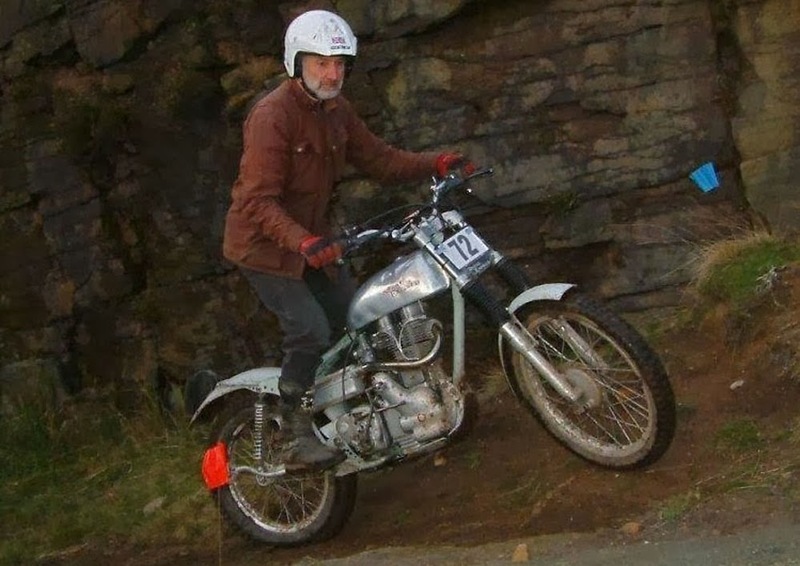 Graham Lampkin on his Works Replica Royal Enfield trials single. Americans never get enough of the BBC's "Downton Abbey" where the clothes are always pressed, or "Lark Rise to Candleford," where the sun always shines on the English countryside. Britain's reputation suggests that actual conditions tend to be more soggy and rumpled. And no more so than for trials riders, who deliberately endure all manner of discomfort. Now comes Graham Lampkin, 62, who proposes to endure such discomforts for a good cause, on a Royal Enfield motorcycle. He'll ride a 1959 works replica trials single. He has the pedigree for it. We are assured by no less an authority than the Bradford Telegraph and Argus, that Graham is "a relation of a fanatical Keighley district motorcycling family." Graham is, the Telegraph and Argus asserts, "related to the Lampkins of Silsden, who have notched up many world titles, British titles and other motocross and trials victories over the years." He plans to travel from his home in Colne, Lancashire, to the Shetland Classic Vehicle Show in Lerwick. 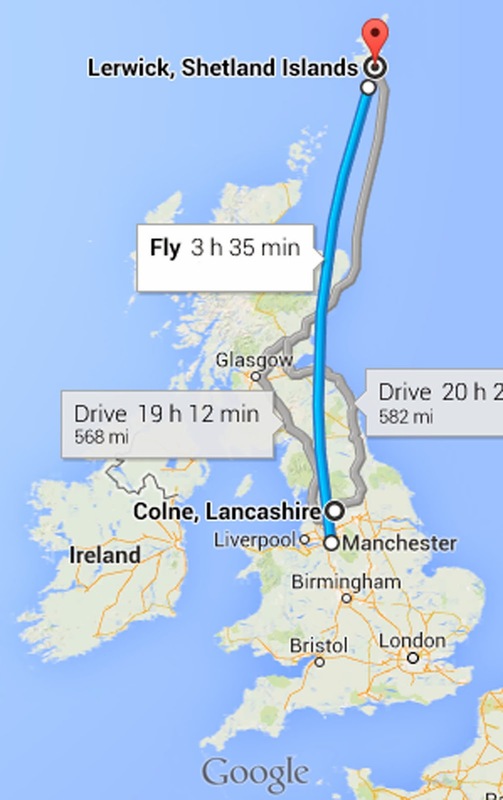 Lerwick is in the far off Shetland Islands, so the trip will include a ferry (ship). But the land part of the journey will be by legal "green roads" and tracks, wherever possible, to reach the ferry at Aberdeen. A long way, if you don't use roads. Graham will start on "Watery Lane" in Colne. The local tourist authorities do not advise a stroll up Watery Lane. It's "an obvious name since the road becomes a ford for approximately 50 meters," they advise; "...sometimes deep and slippery." Graham's long ride will raise money for Cancer Research UK. His wife has lived through breast cancer. "It's the doctors and scientists who will beat or control it and to do this they need funds. The more we raise the sooner this will happen," he writes. Full details are on his website, Lampy Goes to Lerwick (AKA The Muddy Way Up). "The show is on the 7th and 8th June, so we leave 3rd June," he writes. "Donating through JustGiving is simple, fast and totally secure. Your details are safe with JustGiving — they’ll never sell them on or send unwanted emails. Once you donate, they’ll send your money directly to the charity. So it’s the most efficient way to donate — saving time and cutting costs for the charity."